The 200th birthday of Karl Marx, the founding father of communism, was celebrated with fanfare by the Chinese regime. China’s elite Peking University also held a two-day conference on Marxism. Outwardly, the regime has embraced all the trademarks of a capitalist society, from the conspicuous consumption to the rapid modernization. It seems to contradict the Party’s Marxist rhetoric, yet Marx’s birthday was an occasion for the Party to claim communism still held relevance—and thus, legitimized its rule. “We must grasp Marxist theory and education, deepen students’ understanding of the theoretical and practical meaning of Marxism, as well as its historic necessity and scientific accuracy,” Xi said in a speech before the Peking University conference on May 2. Former Chinese historiography professor Liu Yinquan offered his thoughts on why the regime was holding tight to Marxism: “The reason why the Chinese regime wants to commemorate Marx in such a high-profile manner is because it wants to strengthen its rule over Chinese citizens, reinforce the foundation for its rule over people, and preserve its one-party authoritarian leadership,” he said. 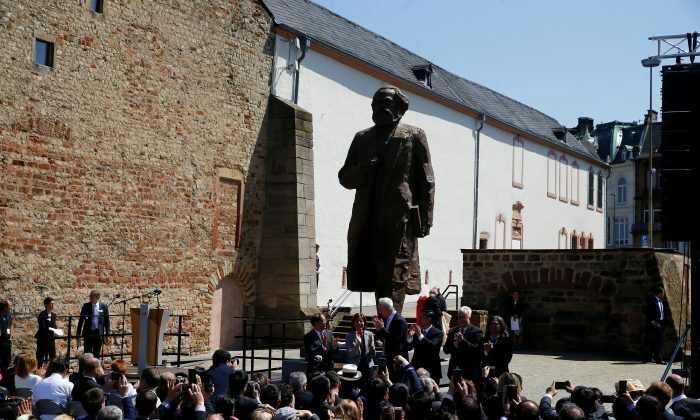 The Chinese regime was so enthusiastic about celebrating Marx’s birthday that it gifted Trier, Germany—the birthplace of Marx—with a statue of the man. But local Germans weren’t so ecstatic. On May 5, the day that the statue would be unveiled, a group had gathered to protest: a contingent representing Free Tibet, an organization that advocates for Tibetan sovereignty; members of Germany’s right-leaning AfD (Alternative for Deutschland) political party; and adherents of Falun Gong, a spiritual discipline banned and heavily persecuted by the Chinese regime. A protest sign held by AfD party members listed the number of people killed by communist states around the world: 65 million in China, 20 million in the former Soviet Union, 2 million in Cambodia. 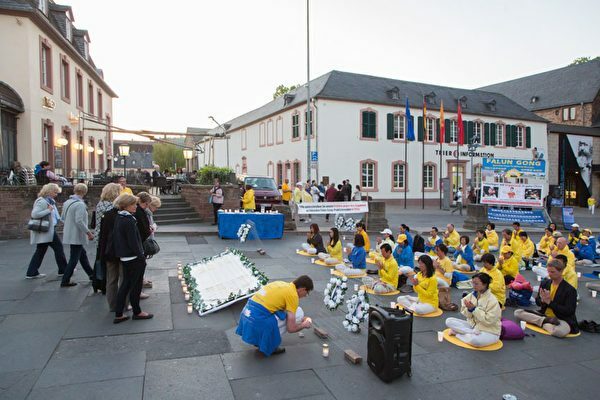 Falun Gong practitioners held a booth in the Trier city center to gather signatures for a petition opposing China’s human rights abuses. Thousands of Falun Gong practitioners have been arrested and imprisoned for their spiritual belief in China since 1999, according to estimates by the Falun Gong press office. More than 4,000 Falun Gong adherents are confirmed to have died as a result of torture and abuse while in custody, although the real number is believed to be much higher due to the difficulty of getting information out of China.